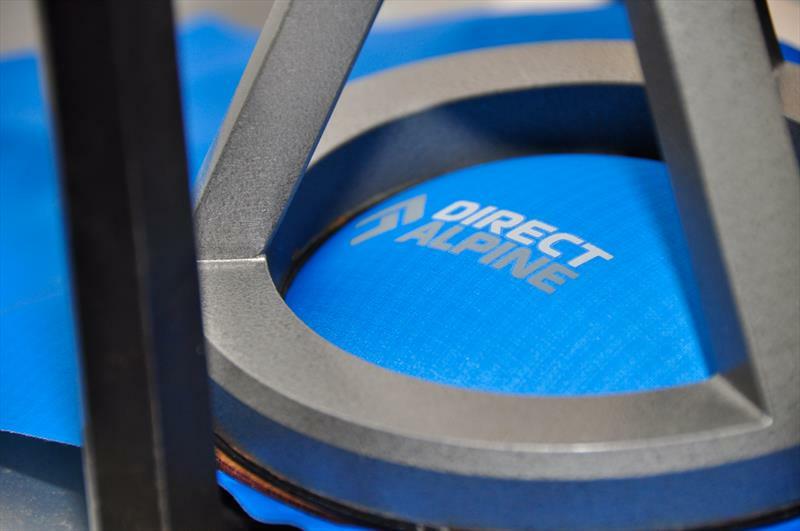 Testing, Made in Europe - Direct Alpine s.r.o. Testing of materials and choosing the appropriate fabric is one of the most important stages of development of new products. Only the suitable material, perfect cut and effectual design is the guarantee to produce 100% functional sport and free- time clothing. 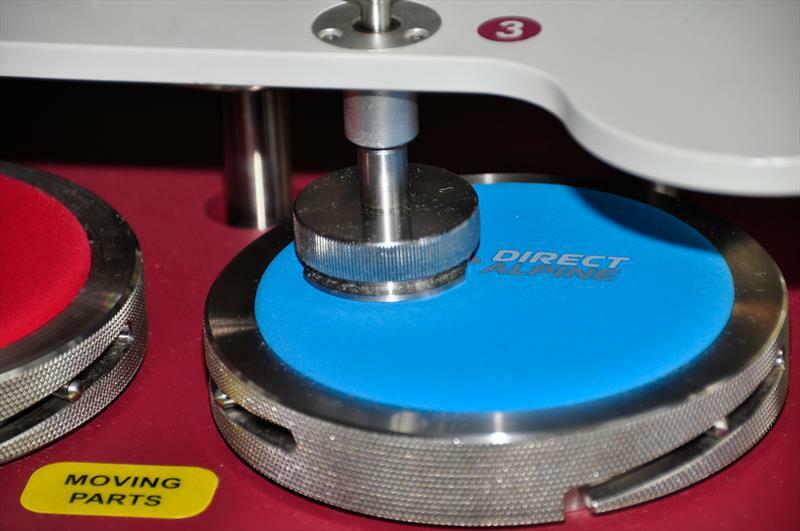 For really targeted choice of quality and functional material it is necessary to test all parameters of chosen materials not only by using the final products (Direct Alpine test team) but also in laboratory conditions. In this way we cooperate with the Department of Clothing Technology of the Textile faculty (TUL). 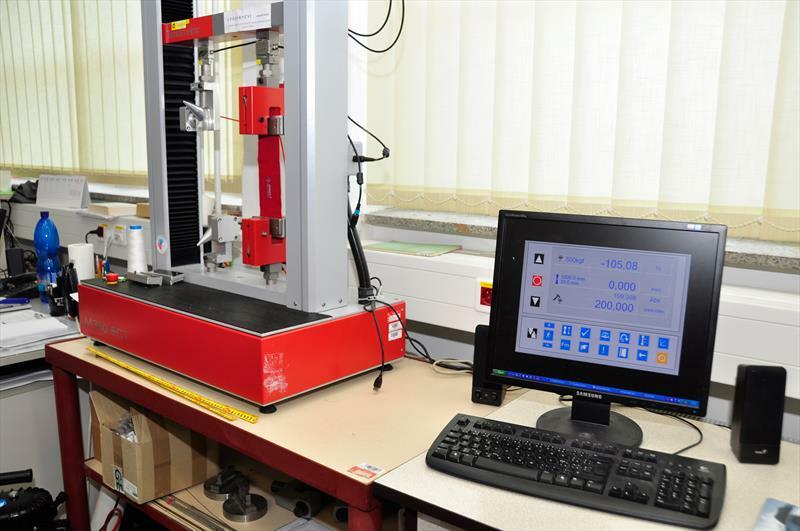 Their top level laboratories provide the most up to date measuring devices. 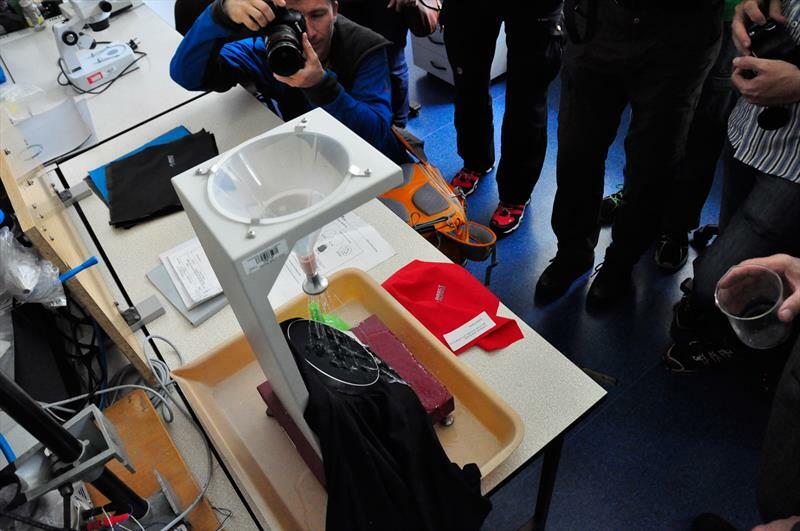 The department also actively participates in development of new technologies used in the textile industry. For the outdoor garments are the most priority parameters - waterproof, windproof, vapour permeability, abrasion proof and many others more or less used before actual choice of material. 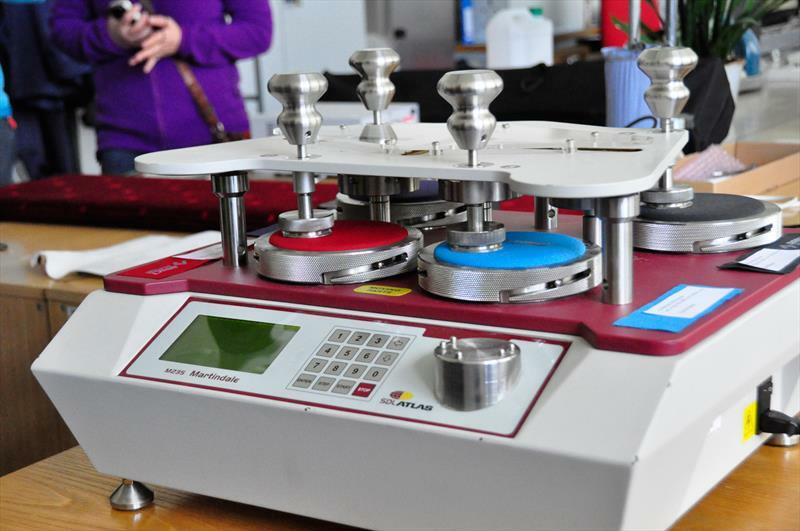 Let’s have a look at a short overview of testing devices used by our company before the actual choice of material for samples and followed production. 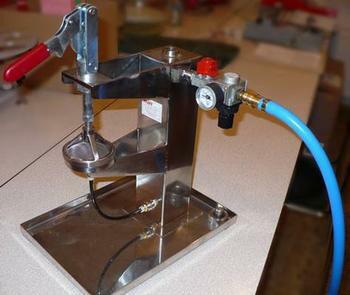 machine used to find out the endurance of material against the abrasion and pilling. 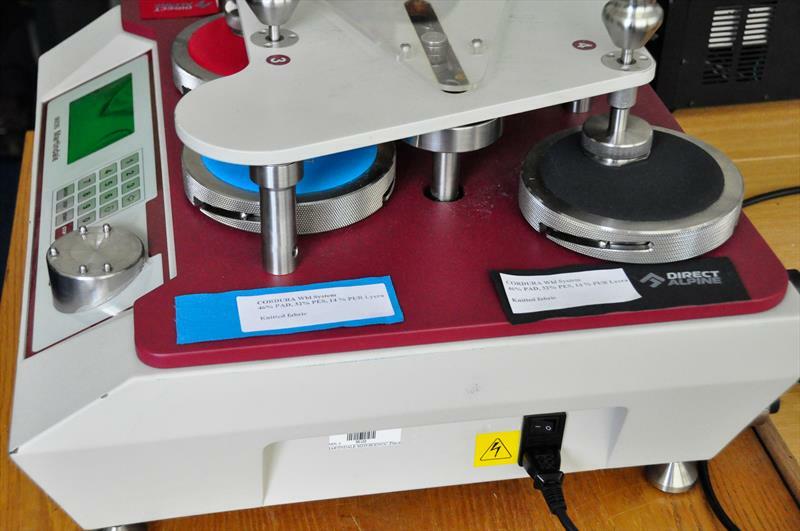 The basis of this test is rubbing the material against the same textile and measuring the level of pilling. In case of testing the abrasion the material is rubbed by specified standardized woollen material, kind of “sand paper”. 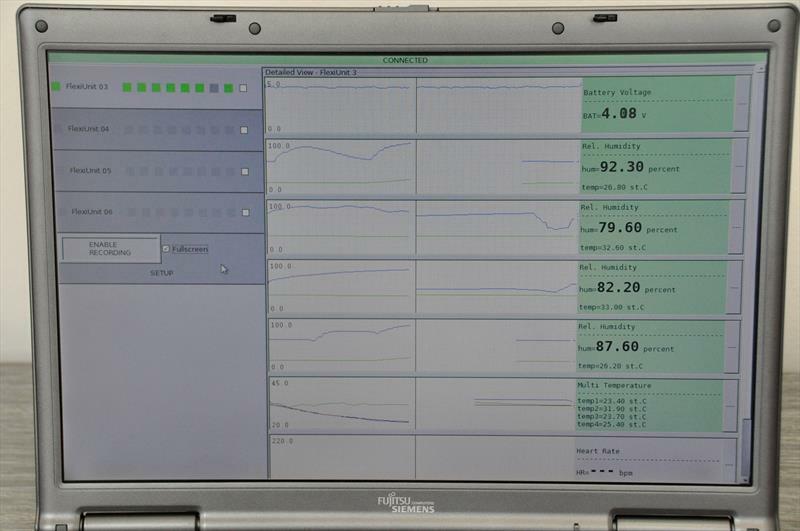 The result of measuring are evaluated visually using etalons. The limit of the suitability of particular material is approx. 15 000 turns without remarkable damage (approx. 3 years of using the garment without the pills). In the pictures there are the pilling tests of Patrol and Badile materials after 20 000 turns and 40 000 turns. 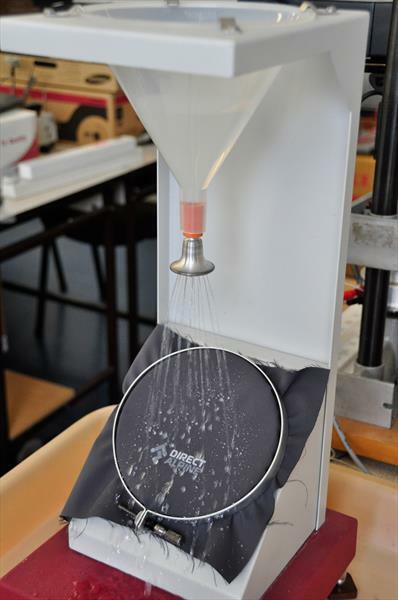 this machine measures the wetting power and way of the water penetration in the textile (not the water column) – it is actually “evaluation of repellence”. The device provides the possibility to set the achieved level of the waterproofing and the resistance of materials to water sorption. 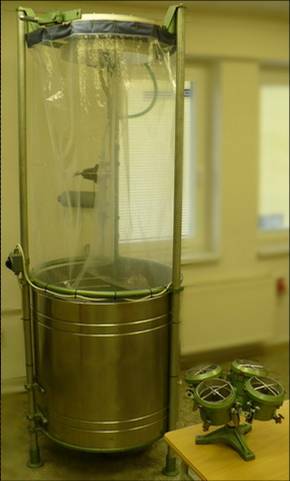 Measuring is carried out by rain simulation that act on the tested material for given amount of time by given amount of water. 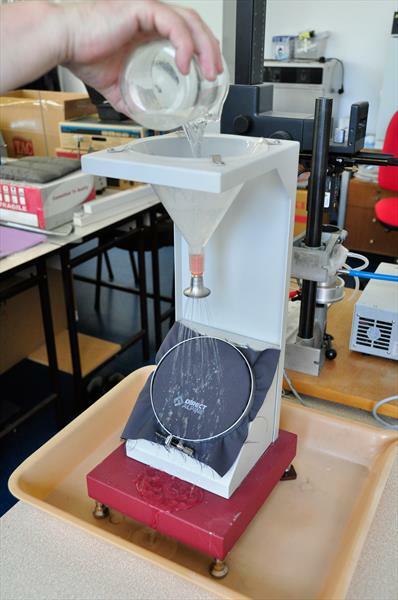 Immeability and “non-sorption” of textiles is evaluated visually using photo-etalons and by weighing. We use mainly Kudos XR from Toray or Nano tech and DWR (durable water repellency) impregnation technologies. 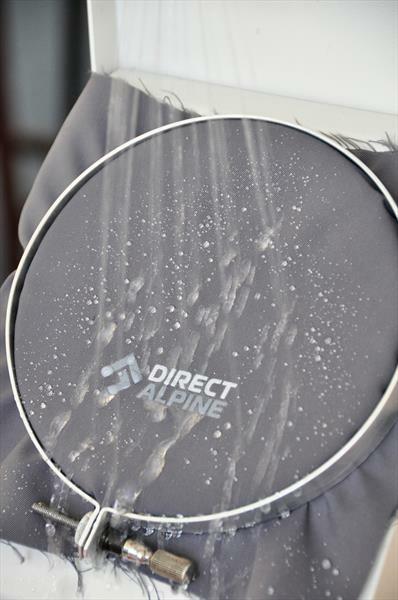 In some cases is the perfect waterproof repellency better than membrane (products where high vapour permeability and sufficient wind and water proof is required). 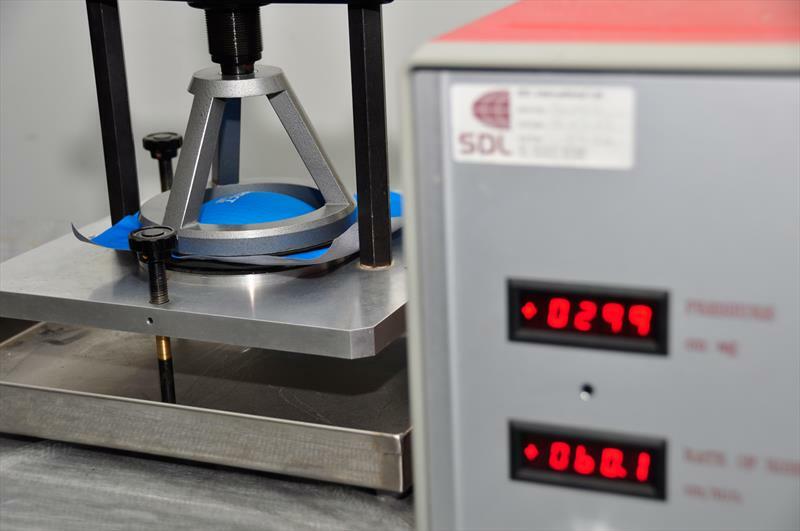 measuring the vapour permeability – one of the most important features of not only outdoor clothing, especially for membrane materials. 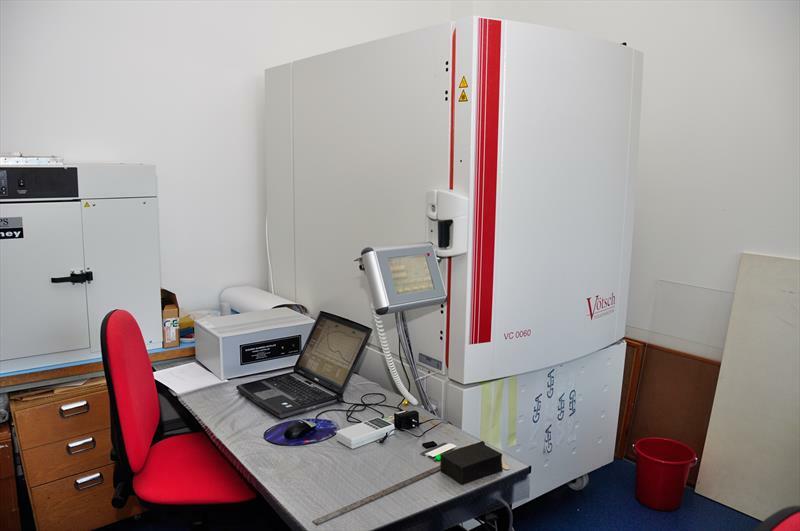 This machine measures the resistance to vapours. The basis is heated moisten porous panel that simulates the human skin. 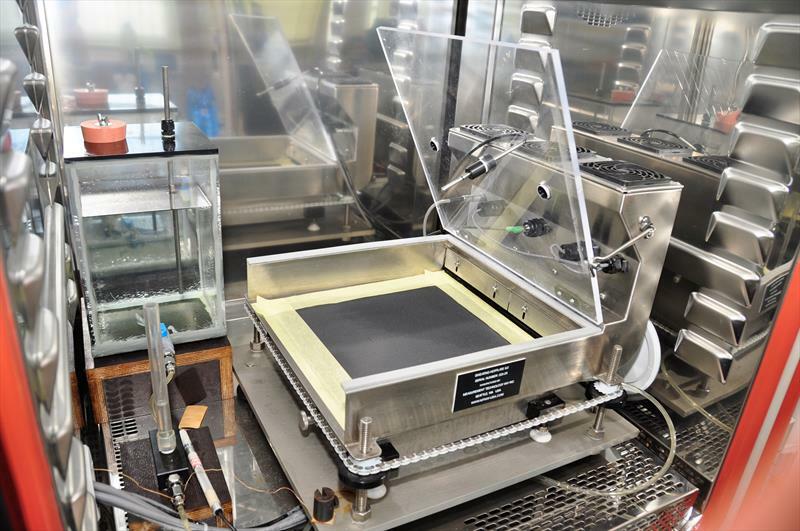 Measuring comes from the relation between evaporation and the heat flow. The simulation shows the evaporation of moisture from the human skin and its permeability through the textile. 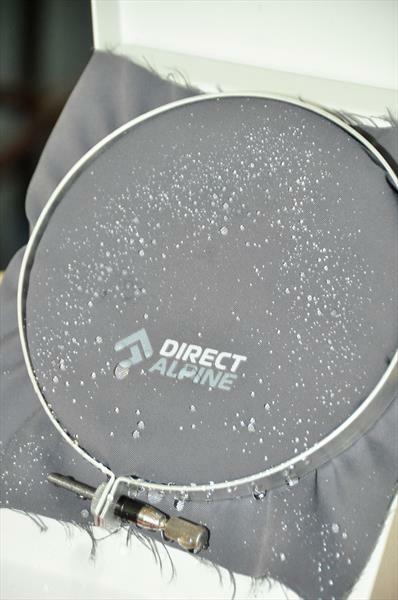 Direct Alpine uses for this kind of measuring the membranes g/m2/24h (it is also possible to use the Ret method). The higher level of vapour permeability v g/surface/time the better ability of the textile to drain the moisture off. Of course the practical functionality in terms of vapour permeability is no less related on the surroundings (temperature, air moisture, air circulation …). 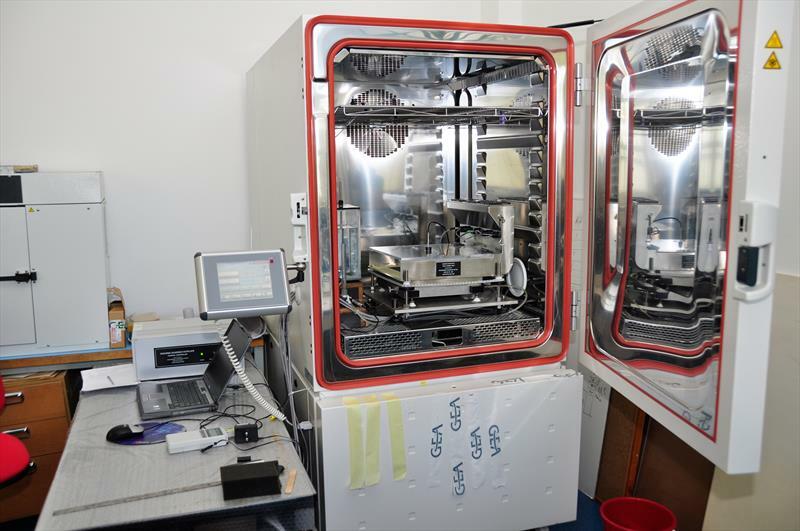 The system of membrane materials is base on the well-known principle of porous membranes which, thanks to their “micro-poruses” allows the vapours to drain off from the inside. On the other hand those “micro-poruses” are so small that for example rain drop cannot get through (it is many-times bigger than the water and vapour molecules). The way of water penetration is not given by the membrane itself but by the difference between the temperatures and partial pressures inside and outside. Porousness of the membrane is clearly visible on the membrane Entrant DT (Mallet, Midi) – size of the rain drop x vapour. In our production we use membranes of the Japanese company Toray (different kinds of Enrant) and our own 4 way Tex. Physiologic properties of clothing are one of the properties requested from functional clothing and they are important because they significantly influence not only the wearer's feelings but also psyche and performance of sportsmen, soldiers, policemen, etc. 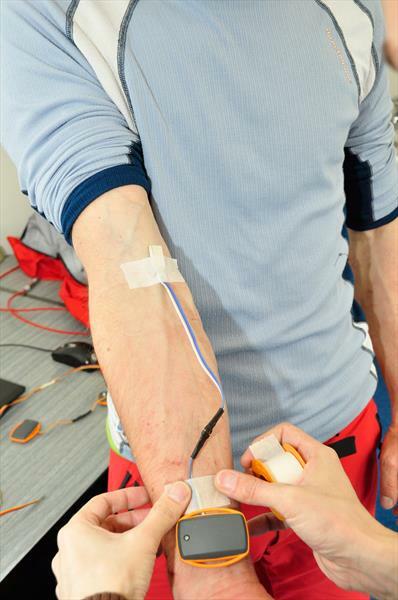 Most objective way is to carry out testing with probands. 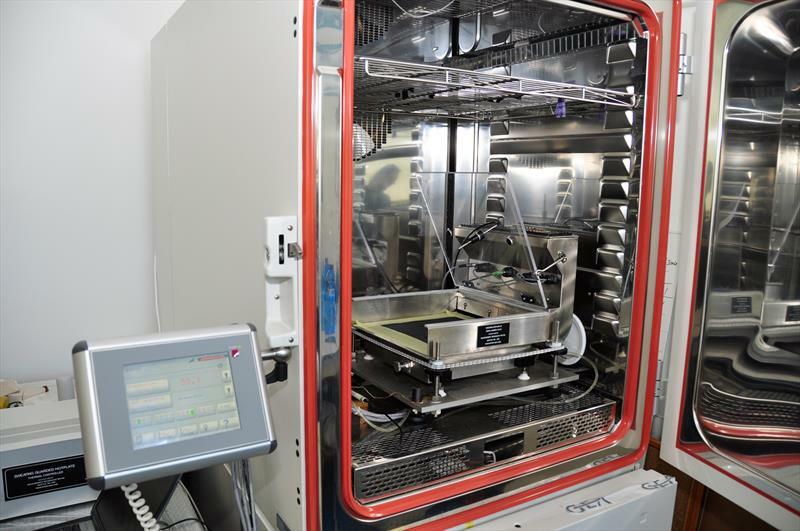 These can be carried out under real conditions – using clothing in real conditions or under controlled climatic conditions and activities in a laboratory. 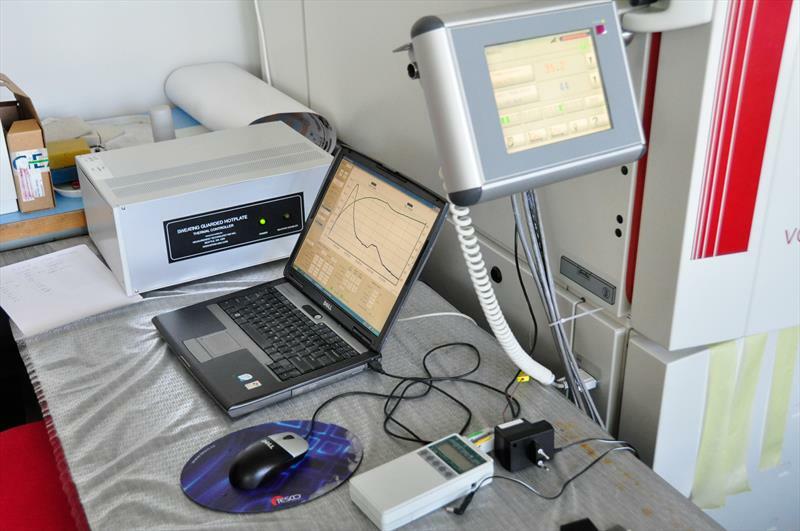 Measurement under controlled conditions has significant advantages, testing conditions are reproducible and sensors can be connected to the person's body with the aim to gain objective data. Such data may include heart rate, temperature and skin moisture in various points of proband's body in the limit layer or in the clothing structure, including sensory assessment of clothing. 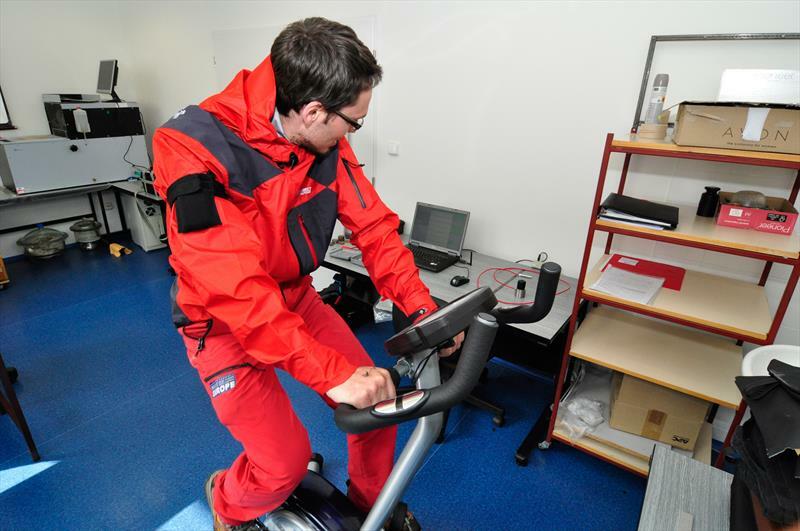 The research activity consisted in testing of various types of wear, materials, and under defined conditions of the environment with the choice of monitoring selected quantities, which provide possibilities of clothing comfort evaluation. 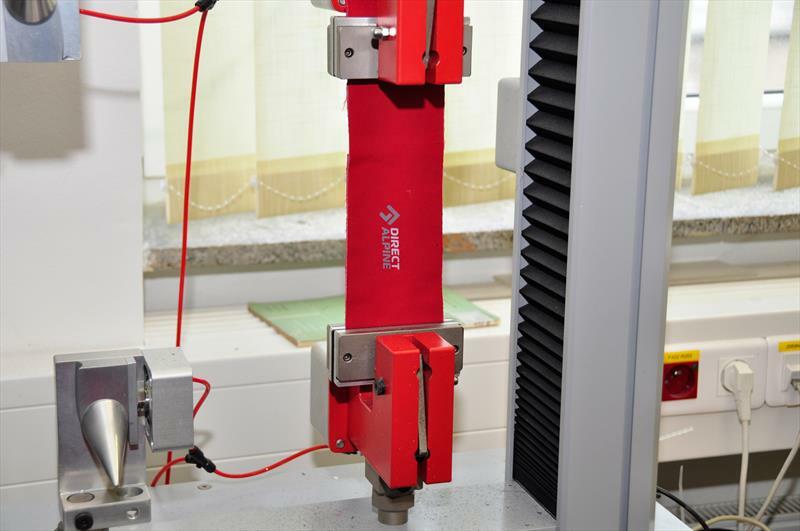 machine that measures the thermal insulating features of materials. The higher thermal resistance the better insulating features of materials. We use this device mainly when choosing the winter-product materials (Polartec, Primaloft). 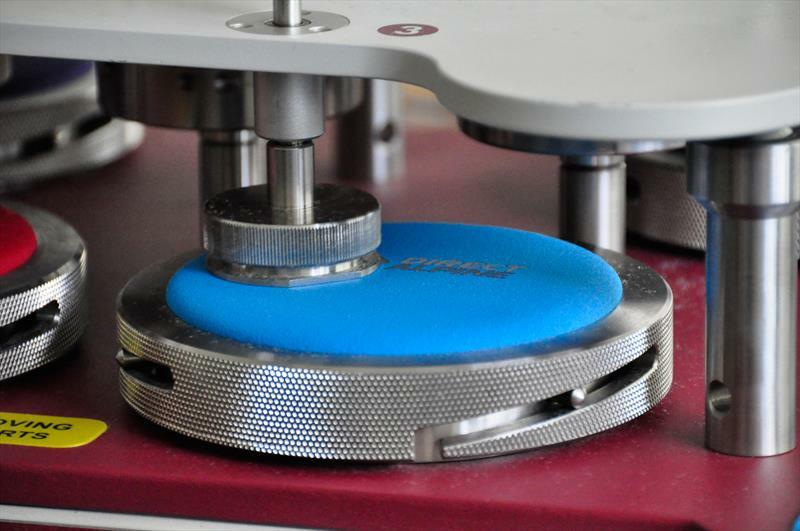 In spite of high weight/m2 some materials have low thermal resistance, the objective of this measuring is to achieve the maximal thermal resistance along with the minimal weight and compressibility. 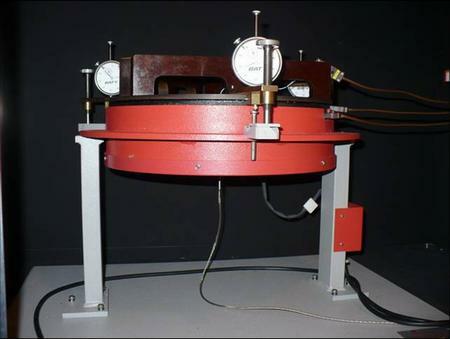 device for measuring the water column (the resistance of fabric to water penetration). What is measured is the water pressure adequate to the water column. 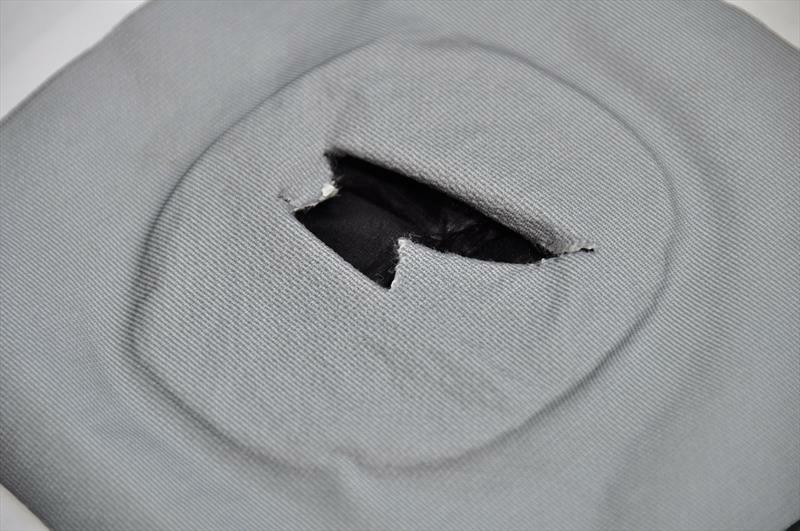 Compressed air and water from the machine nozzle apply the pressure on the fabric. The limit for outdoor barrier textile is min 10 000 mm (kneel down in the snow – 10 000 mm of the water column pressure, according the weight of the person). Membranes we use in our Mountain Top Series achieve 20 000 mm (Mallet, Midi – 30 000 mm). In spite of the relatively high water column numbers of the materials we use, the main focus is on the vapour permeability of the membranes guaranteed by the Toray company and its long-term achievements. 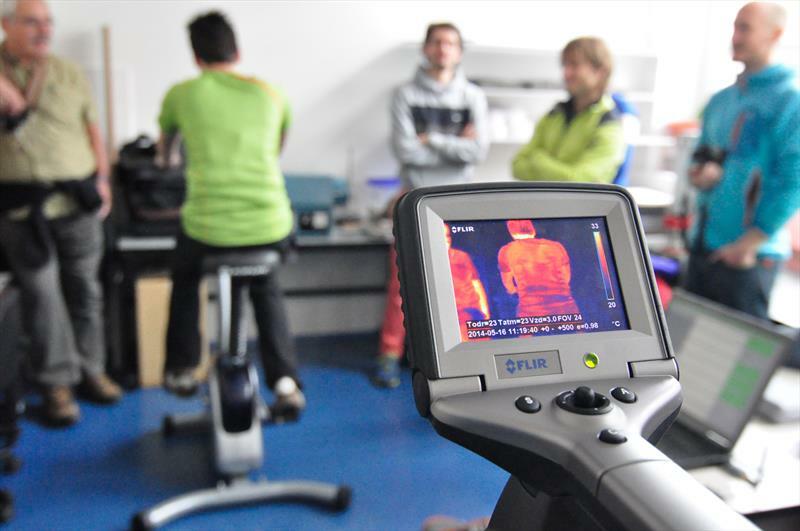 The thermal imager is one of the most progressive methods for measuring temperature fields. 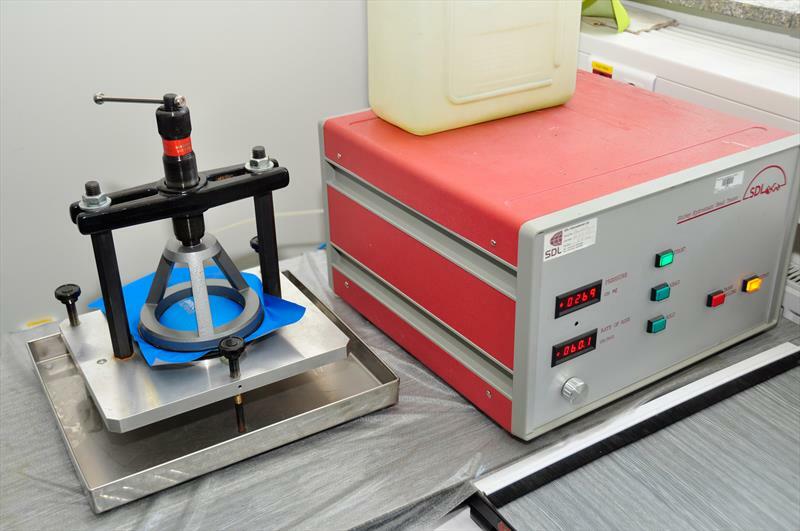 It is a method for detecting the temperature field on the surface of materials by measuring the intensity of the infrared radiation. It assists a lot in choosing the best insulation materials and construction. We can objectively select materials with the most favourable price/performance ratios. 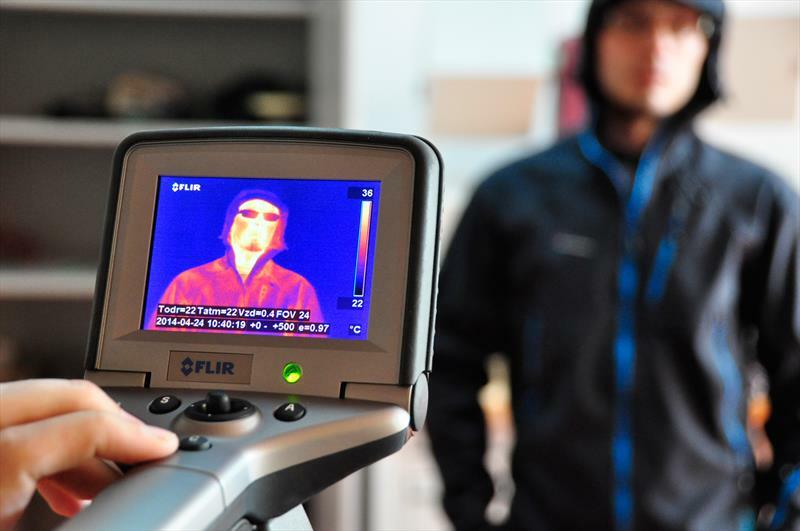 With a thermal imager it is possible to eliminate heat loss through seams, pockets and other details and to resolve the optimal design of clothing. 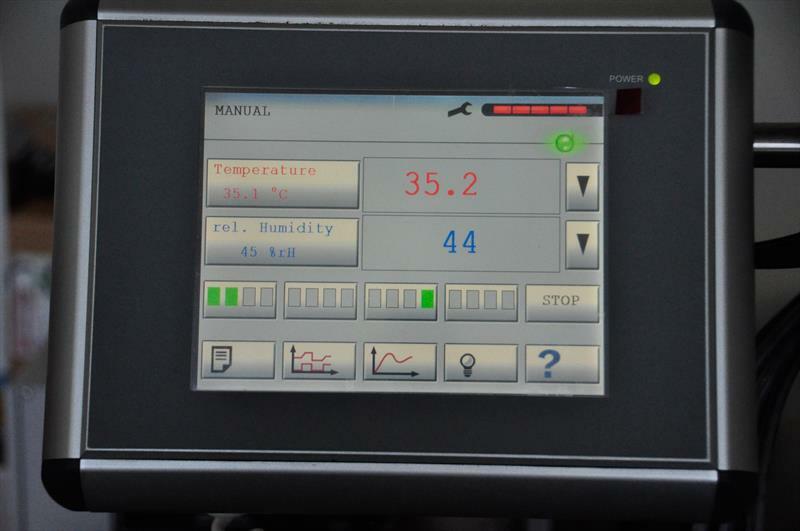 device used for measuring the windproof. 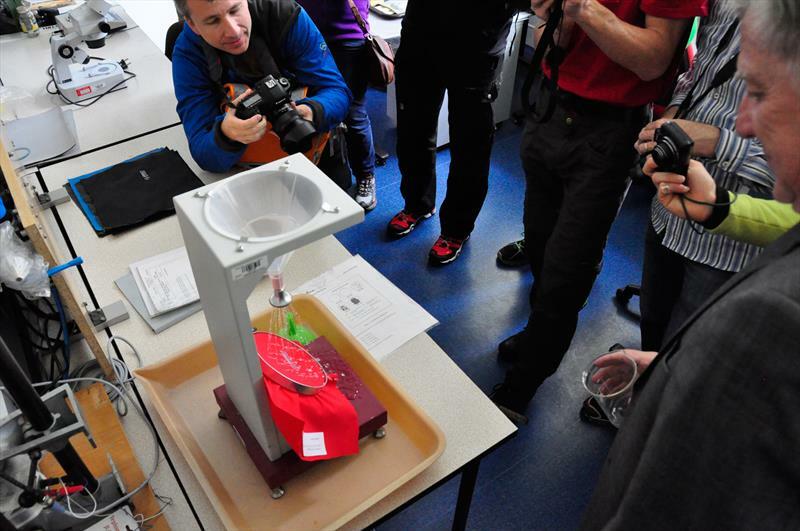 This test shows the level of resistance of the material to the wind influence from the outside. The lower permeability of the material the better is its resistance to wind. 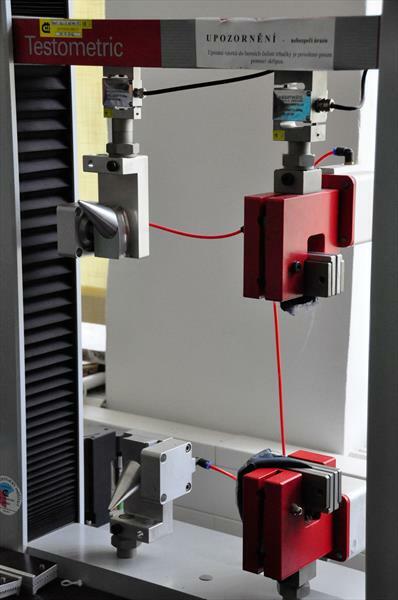 The tearing device is used for the measurement of strength and of elasticity. 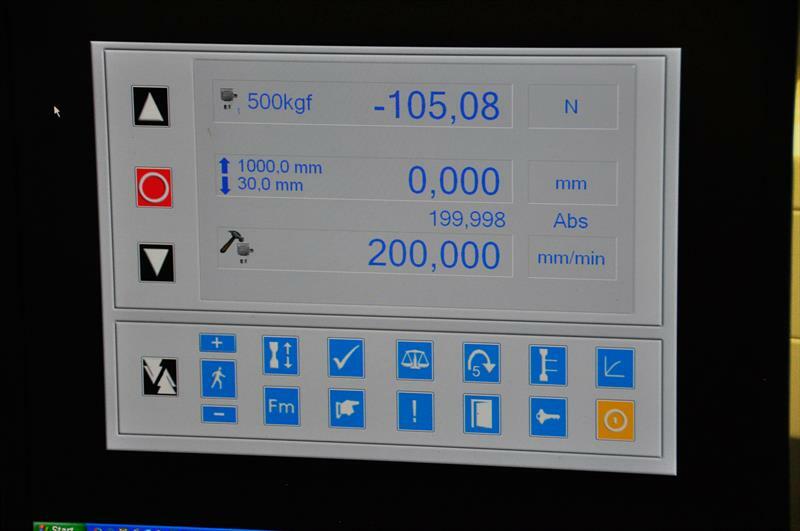 The device is controlled by a computer and is fully configurable. 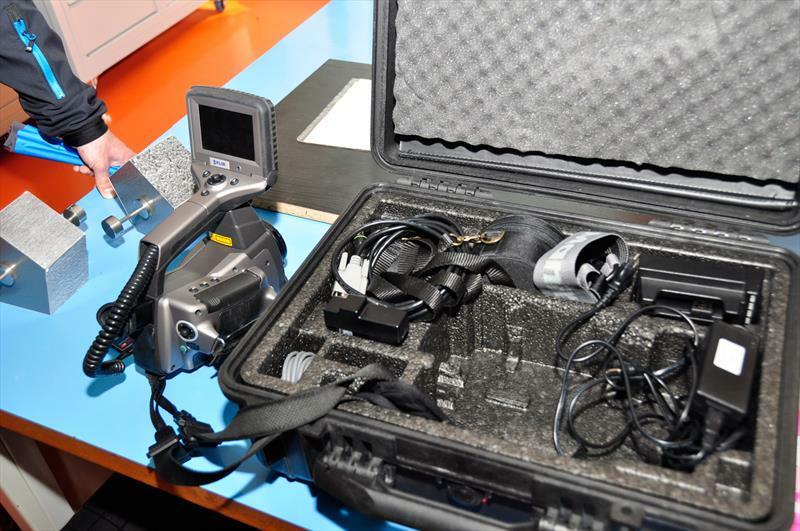 In the laboratory it is equipped with a 5000 N sensor (for fabrics) and a 250 N sensor (for threads). 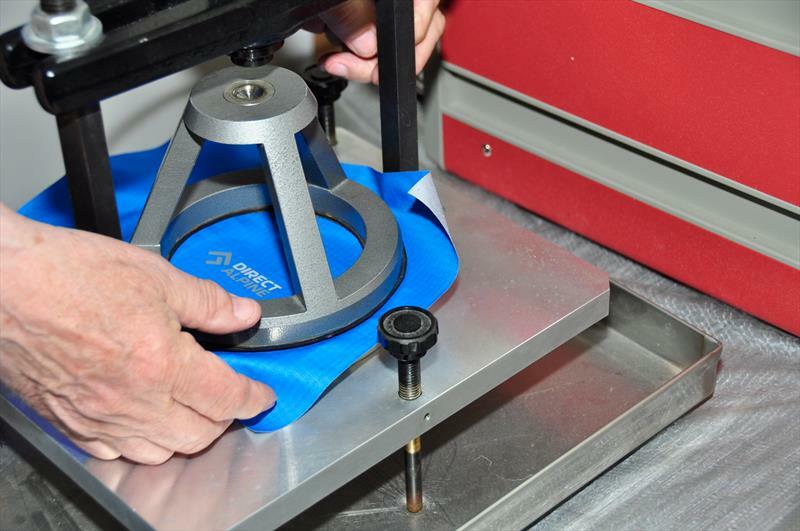 During the testing, a sample with the defined dimensions is stretched at a constant rate until it breaks. 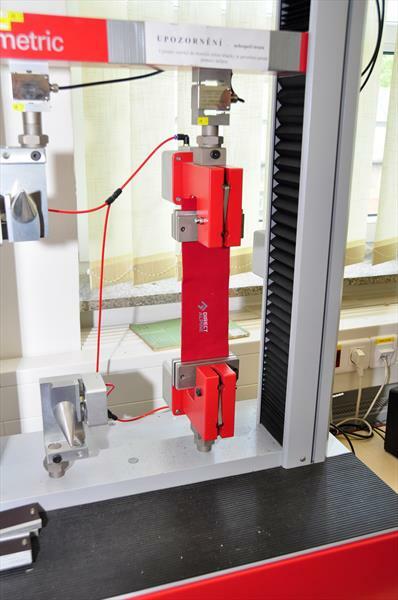 Recorded are the maximum force reached and the corresponding elongation at the breaking point, which represents the ratio of the elongation of the sample in comparison with its initial length expressed as a percentage. This process is used for verifying the strength of fabrics or knitted materials and also of the threads and/or the zippers utilised. 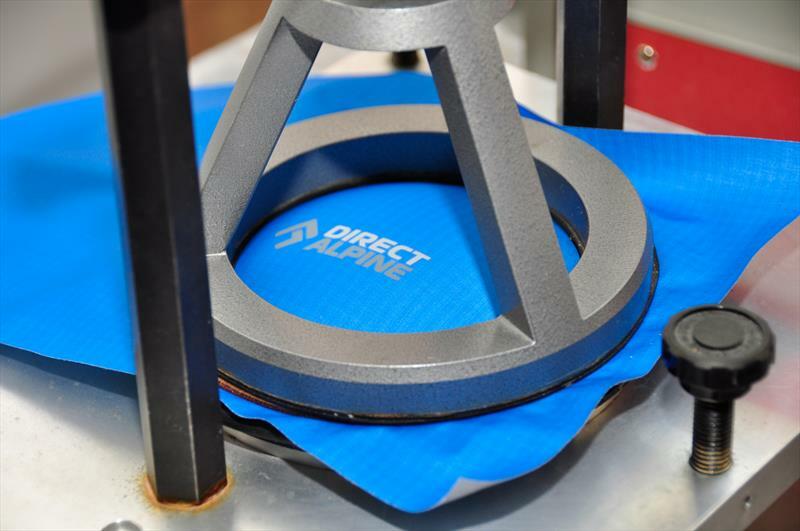 With this device we are able to guarantee a consistent quality of production, the durability of the product and the optimal choice of the materials used. 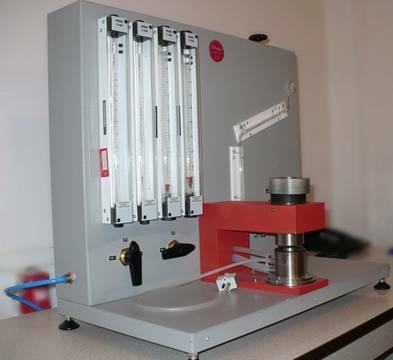 machine for testing the waterproofness of the sealed seams.